Two (2) times annual salary or annual pension rounded to the next highest multiple of $1,000 to a maximum of $400,000 . Dependent coverage: $10,000 on spouse; $5,000 on each eligible dependent child . Coverage ceases at age 65, and is replaced by Post-65 Benefit* . Conversion option available within 31 days of termination or reduction in coverage . $15,000 for those reaching age 65 on or after September 1, 1985, and who have continued coverage under the Basic Life plan until their 65th birthday . An insured member who continues to teach beyond age 65 will continue coverage at two times salary until the date of retirement. Maximum coverage of $500,000 in units of $10,000 . Member and/or spouse by application only . Rates are step rated based on member or spouse’s age . Effective May 1, 2011, maximum coverage of $50,000 from age 65 to 84 . Coverage ceases when member/spouse reaches age 85 . Conversion option available within 31 days following your 65th birthday . Maximum coverage of two (2) times annual salary or annual pension (minimum of $40,000) rounded to the next highest multiple of $1,000 to a maximum of $400,000 . Coverage on teacher and NLTA employee only . Coverage ceases at age 65* . *An insured member who continues to teach beyond age 65 will continue coverage at two times salary until the date of retirement. Maximum member coverage of $500,000 in units of $10,000 for those under age 70 . Maximum member coverage of $100,000 for those age 70-74 . Spousal coverage is 50% of member coverage with eligible dependent children; 60% of member coverage with no dependent children . member coverage if no spouse . Member coverage ceases at age 75 . Coverage is 100% of generic ingredient drug cost for eligible drugs . Member pays dispensing fee and pharmacy markup . Coverage is 100% of the semi-private room rate . Coverage is 80% to a maximum payment of $125 in any three consecutive calendar years for adults, and once every calendar year for eligible dependent children under age 18 with a prescription change . Paid at 80%, subject to maximums as outlined in the Health section of this booklet . 80% of eligible benefits as per the Fee Guide approved by Trustees . Recall examinations, cleanings, fluoride treatments and bitewing x-rays once every 12 months . No coverage for orthodontics, dentures and bridges . 30 days or expiry of sick leave, whichever is greater . 24 months of benefit payable . Up to age 60 . Retirement and employer sponsored disability pension plans including TPP and CPP, and others as per master contract . LTD benefit is tax free . In receipt of Workers’ Compensation lost time benefits . Difference between bi-weekly Workers’ Compensation benefit and 85% of Net Income (gross minus income tax minus CPP and EI premium) . Lifetime maximum period of the lesser of one year (195 work days for teachers), or number of work days an insured member is in receipt of Workers’ Compensation benefits . This option is automatic for all NLTA members and NLTA employees, only if the member is currently enrolled in the Group Insurance Program . $10,000 benefit that covers up to 31 illnesses/conditions . A 24 month Pre-Existing Condition Limitations Clause applies . No benefit paid for cancer or benign brain tumour if symptoms or problems that give rise to the diagnosis of these conditions appear within the first 90 days of coverage or reinstatement of coverage . Member must survive at least thirty (30) days after the date the diagnosis was made by a licensed physician . Coverage ceases upon retirement or attainment of age 65 or the date on which the underwriter pays a benefit for a covered critical illness/condition . Conversion Option is available within 31 days of termination or at attainment of age 65 . This option is by application only . All NLTA members and NLTA employees and/or spouses of NLTA members and NLTA employees, can only avail of this option if the member is enrolled in the Basic Critical Illness Insurance . Retired NLTA members, spouses of retired NLTA members, retired NLTA employees, spouses of retired NLTA employees, substitute teachers, and spouses of substitute teachers can only avail of coverage if the retired teacher or substitute teacher is a member of the Group Insurance Program . Available in units of $10,000, to a maximum of $300,000 . Up to $50,000 available to the member and/or spouse without a medical application . Coverage ceases at attainment of age 65 or the date on which the underwriter pays a benefit . Only members who are enrolled in the Voluntary Critical Illness Insurance are eligible to avail of this additional benefit . $5,000 benefit for each eligible dependent child under age 21 or under age 25 if in full-time attendance at an accredited educational institution . Covers up to 20 illnesses/conditions . Personal individual policies available to NLTA members, NLTA employees and their family members (spouse, adult children, parents) between the ages of 18 and 89 who apply by completing the application with health questions . 10% reduction in monthly premium rates of more than one insured member . Benefit level is the less of daily maximum or 80% of actual covered expenses which include: Home Care, Nursing Facility, Adult Day Care, Respite Care, etc . Additional features include inflation protection, caregiver training benefit, durable medical equipment and emergency response system . 30 day elimination period . Out of Province/Canada emergency medical insurance plan . 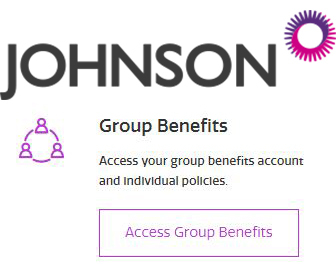 Available through Johnson Inc . with premium paid by payroll deduction without interest or service charge .